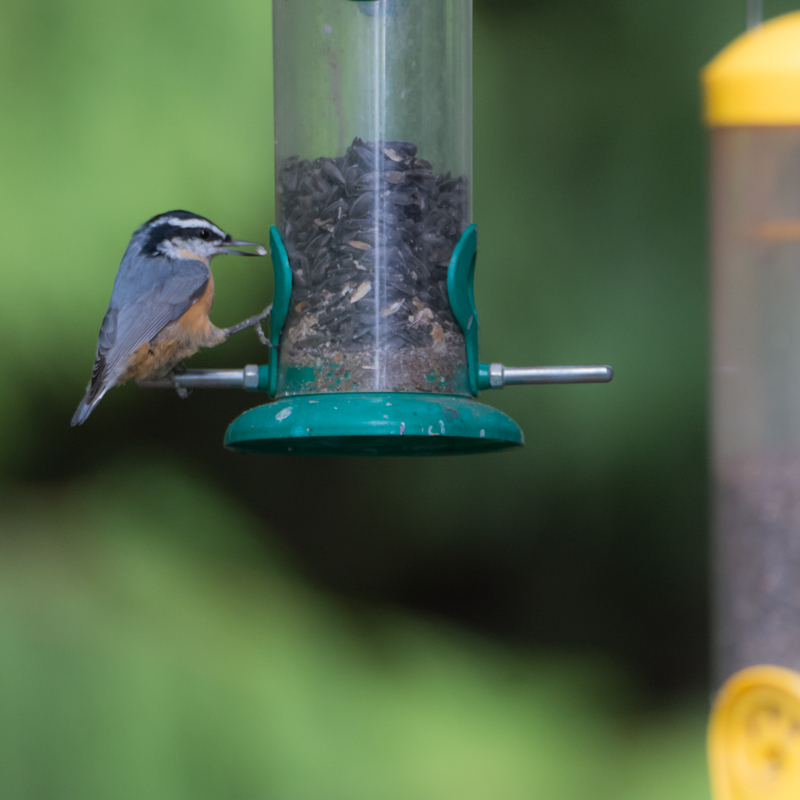 No matter what the angle, the Red-breasted Nuthatch is a little bundle of energy who fills the day with purposeful activity. 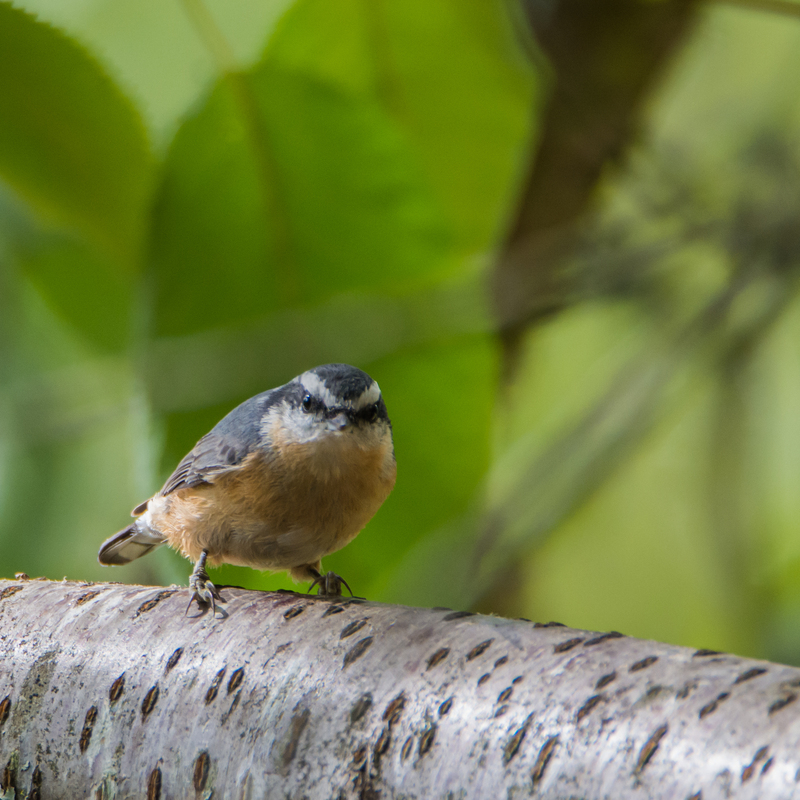 Busy at feeders and in the woods, these small birds seek seeds as well as insects for food. and flies away into the forest. There it will wedge the seed into a bark crevice and pound it open with several taps of the beak to feast on the inner meat. 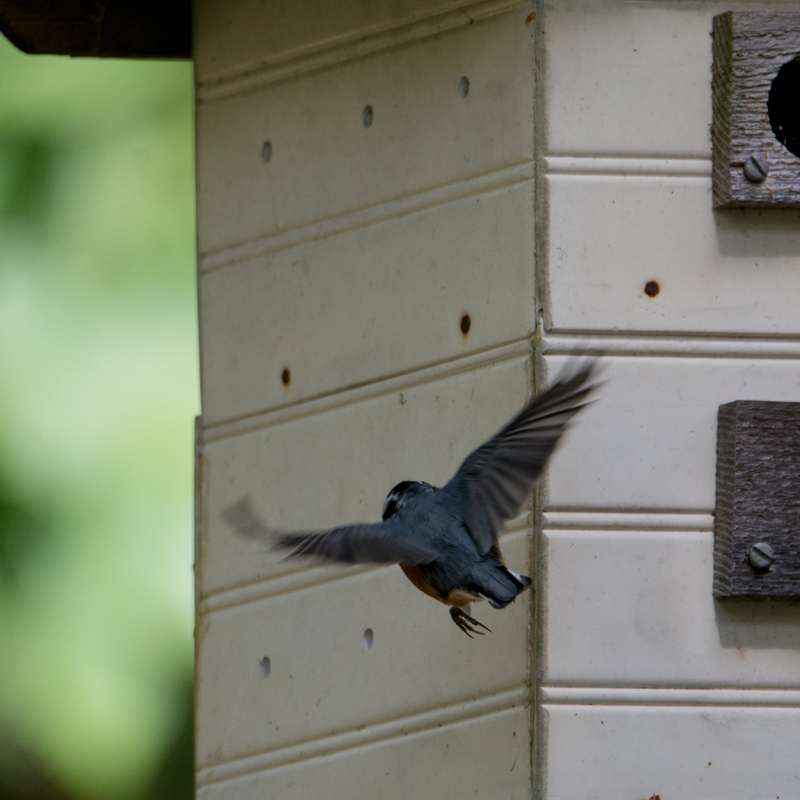 Take a close look at the Nuthatch’s claws. These are the key to this specie’s acrobatic nature. Super stars in the Cirque de Aves, these small birds are agile in climbing up and down tree trunks and walking on the underside of branches. Beautiful shots! Such a busy little rascal — hard to get clean shots like this. Those claws are designed to scratch the eyes out of a predator, no doubt? Eeks… Ken, that’s an angle best left unexplored!